We are proud to have received multiple award nominations at the end of last year, recognising the continued commitment of our staff to delivering care to the local community. Abbey Chemist was the proud winner of Retail Business of the Year at the Scottish Asian Business Awards in December 2018. 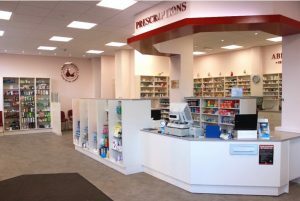 In addition to this our Trongate branch was a finalist in the running for Pharmacy Practice of the Year (Independent) and our owner Asgher Mohammed was a finalist for the Community Pharmacist of the Year (Independent) at the Scottish Pharmacy Awards in November 2018. A great time for the whole company! We are pleased to announce the re-location of our Trongate branch, in Glasgow City Centre, to bigger and brighter premises! As of January 2018 we are located just one block away, at 83 Trongate, a purpose designed shop which allows us to continue to provide high quality pharmaceutical care to the local community. After over 25 years spent at 144 Trongate the company is delighted to have moved to these new premises, which reaffirm our commitment to caring for the community! 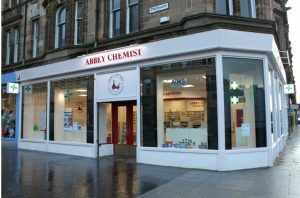 In September 2016 we celebrated the 30th anniversary of Abbey Chemist! This special occasion was marked by a meal at the beautiful House for an Art Lover, situated in Bellahouston Park. The evening was attended by staff (both past and present), as well as many esteemed guests from the pharmacy sector and beyond. The company is proud to have reached this milestone and Mr Mohammed gave thanks to all who have been involved throughout the years. 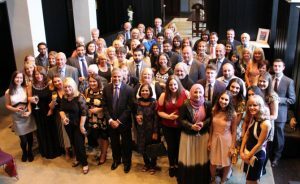 The evening was made even more special with the announcement that Abbey Chemist had been awarded Gold Level Investors in People accreditation. We look forward to many more years of Caring for the Community! The Abbey Chemist group and High Street Pharmacy (Glasgow) are proud to announce that we have achieved gold level accreditation from Investors in People! In September 2016, having already achieved standard level accreditation, the company was delighted to receive the prestigious gold level certification. This marks us as an organisation committed to providing care for the community, putting the needs of our patients above all else. It also demonstrates the ethos of team work and support within our stores, as well as our commitment to staff development. 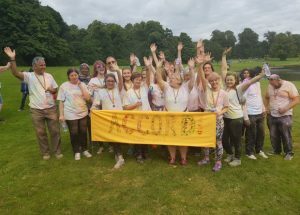 In August 2017 staff from all Abbey Chemist branches, along with High Street Pharmacy, came together as part of our annual team building event, taking part in the Accord Hospice Rainbow Ramble. The day involved completion of a 3K walk/run in the park at Ferguslie Gardens, with the team being showered in coloured paint powder whilst completing the course. Much fun was had by all and we are proud to have raised £1510 to support the hospice as they continue to carry out such vital work, supporting patients and their families in the local community.